﻿ How to Retrieve Deleted Video Files from Memory Card? How to Recover Videos from Memory Card? Hey, take it easy. Don’t worry about deleted video file. It will not be permanently deleted from memory card; rather its index information is removed from file system table on SDHC card and you can easily retrieve this deleted video file using any of the professional card recovery tools, before its space is over written by new file content. Prior to that let us see other reasons for losing videos from memory cards. Video files are also a kind of data saved on storage devices. Hence video files can also be deleted or lost from memory cards similar to other data files. So it is difficult to avoid video loss from memory cards. 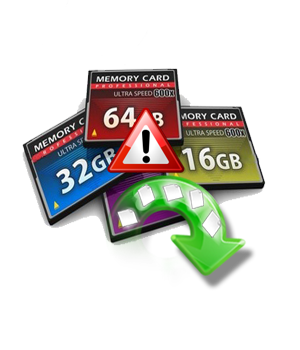 Unfortunately if your precious video files are deleted from memory card, then you must use perfect memory card recovery utility to get back videos. If you are not aware of which card recovery tool to use and how to use, then follow the below given procedure. Most of the users prefer Yodot Photo Recovery software for retrieving data that is deleted or lost from memory cards due several reasons. This application can restore photos, videos, songs and other files from memory card as well as other storage devices like thumb drives, external hard drives, laptops, flash drives, etc. This software provides “RAW Search” option to find the specific files with the help of their unique signature in order to avoid full scanning of the memory card.